You will be definitely driven crazy after your most important Word, Excel or PowerPoint are somehow corrupted or damaged. It either won't open at all, or you can only view the part of the content, but the reset seems to have disappeared. Now you may be wondering how to restore corrupted word doc from Windows in some ways because dada loss can ruin your work sometimes. Keep on reading to learn about MS Word recovery for any corrupt Word document (2007/2007/2010/2012/2016). What Symptoms Does Damaged/Corrupted Word Documents Have? Sometimes suffers don't know if word files are damaged. Many damaged documents perform strange behavior. Hence, I conclude that most common behaviors and you can take the list below for reference to make sure if your word documents corrupt, or not. Characters are unreadable or messy codes on the screen. Error messages come during processing. Computer is unresponsive when you open the documents. Document layout and formatting are incorrect. Repeatedly redoes the page breaks in the documents. How to Restore Corrupted Word Files on Windows 10/8.1/8/7? In truth, the best way to recovery to Word files is to resort to trustworthy third-party word recovery tool - Any Data Recovery Pro, which is produced for recovering corrupted word documents on Widnows (10/8.1/8/XP/Vista)and Mac (OS X 10.11.4/10.10/10.9/10.8/10.7). 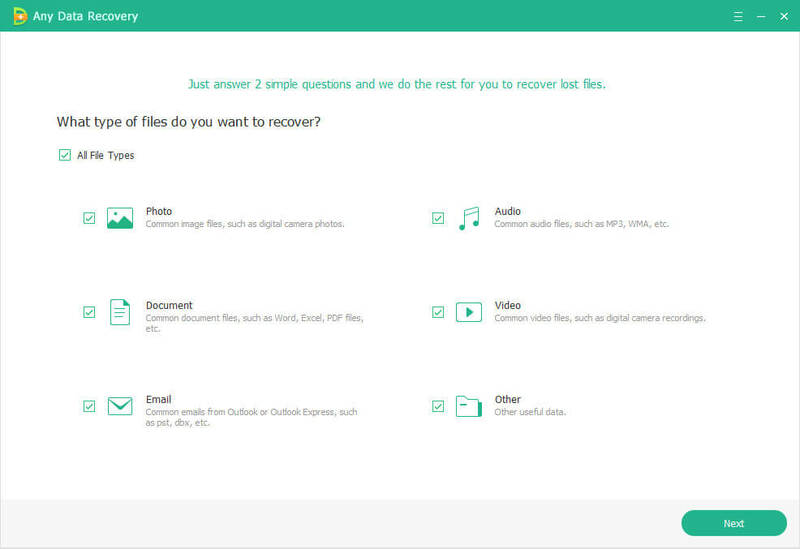 Besides, more than 100 files including word documents, videos, music and photos can be recovered with it. Download corresponsive version and install it on your computer, then follow the steps below to retrieve corrupted word files easily. Step 1. Run the program and tick Document in the interface. Please note, all the files are selected by default. Make sure you select only documents first. Step 2. Choose a location where your corrupted word documents save and press Scan to detect. Step 3. Here all the corrupted documents (including docx, pdf, txt, xls, xlsx and so on) are listed by category and you can click Preview to read it. If you can't find the files you want, click Deep Scan to scan more files, which requires more time. Step 4. 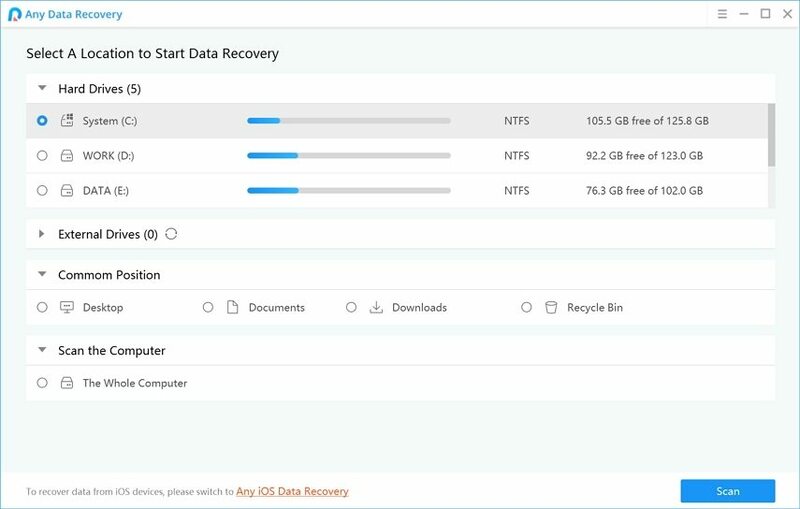 Finally, tick the files you want to recover, click Recover and specify a location to save the recovered files properly. Do not save the data to the location where your files used to locate in case of being overwritten. Apart from files loss, corruption and damage, Any Data Recovery Pro can recover files from formatted Windows 10 partition as well. Have a try on it and get back your corrupted and damaged word files from Windows 10 right now. If you have any problem, you are welcomed to leave it under the comment section.